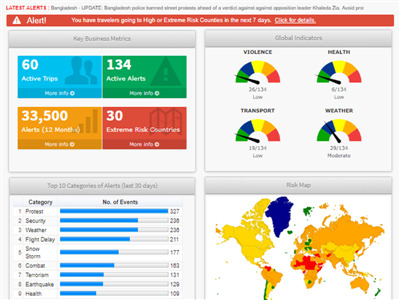 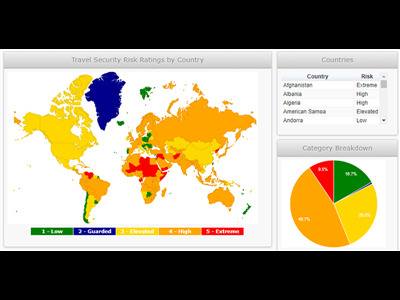 Travel Tracker, the ultimate Duty of Care solution. 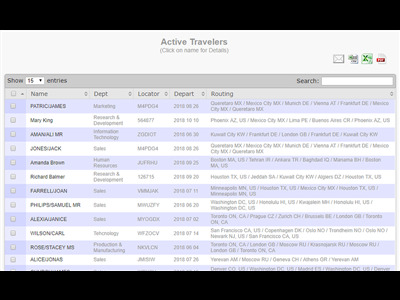 Traveler tracking is an essential element in corporate Duty of Care responsibilities, combined with pre-trip preparation and while they travel alerting travelers of events that could affect their itineraries or their personal safety. 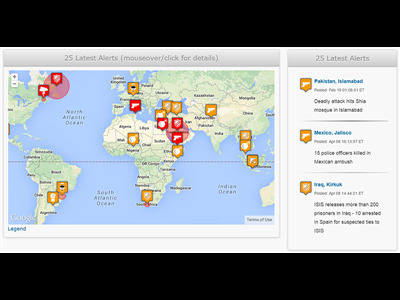 Using our interactive map you are able to select a region of the world and identify Alerts and travelers by country.